enter Red Aspen, a mission-driven, women-focused beauty company out to change the social selling industry. Red Aspen is a social selling Indie Beauty Brand. We launched with luxe false lashes in October 2017, and have since expanded into color cosmetics featuring brows, eyes and lips! Join our team and experience what Red Aspen can do for you! 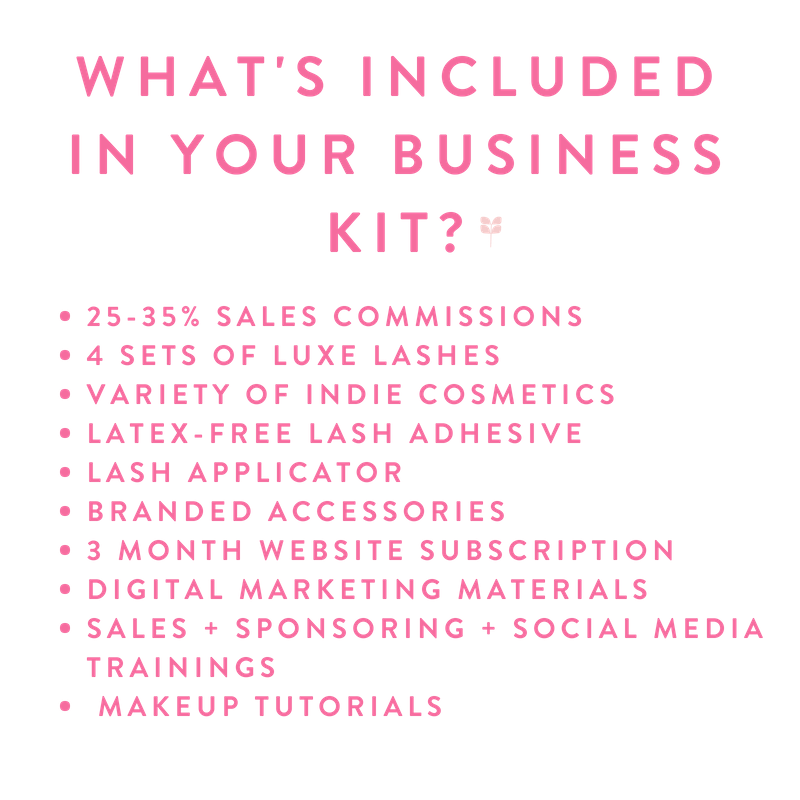 High quality Indie beauty products, a growing network of entrepreneurial women, a true ground floor opportunity, opportunities for personal and professional development, and your own business in the beauty industry! "I needed another source of income, first and foremost...secondly, I needed a pick me up from my mom life." "I originally signed up for other reasons, like the amazing business model and the ground floor opportunity....But two months in, I have to say that my why has evolved." "My number one reason is my family. We needed another source of financial income... And it has been everything and more that I needed and wanted it to be...but it has transformed into so much more than that... I have now seen that my purpose for this is to connect with women all over the country." Our beauty products are named after women we find inspirational, women who have found the strength & courage to run businesses, raise families, break the status quo, speak up, and aim high. We also look to our Brand Ambassadors for inspiration in naming products after the women THEY find empowering and uplifting. Check out some of our most recent product launches! Interested in joining, but want to hear more? Connect with us below or email hello@redaspen.com and we will be in touch! Amanda, Genie and Jesse launched Red Aspen in October 2017. They were looking for something more than the typical 9-5, something that allowed them to be creative and entrepreneurial, something that allowed them to throw 'work-life balance' out the window and find fulfillment! They wanted to shake up the traditional network marketing industry. No more in-home parties, no need to purchase inventory up-front, no more paper catalogs. All you need is your cell phone, website and business kit to get started!